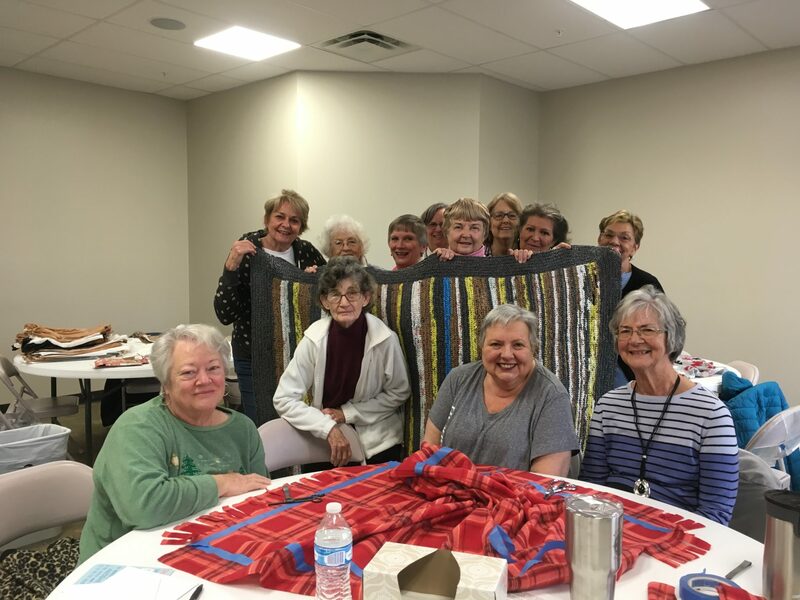 Women on Mission is a group of women at Buck Run that focuses on praying for the needs of others around the world and often supplying those needs where they are able. Women on Mission began collecting plastic bags and making the loops necessary for Sandy to be able to crochet the blanket. Sandy had the goal of finishing the blanket by Christmas and she was able to meet that goal completing the blanket in just under two months. At the following WOM meeting, more women were inspired to begin crocheting blankets as well. Plarning is definitely ‘in’ right now. The blankets are being donated to the ACCESS Soup Kitchen and Men’s Shelter located at 311 W 2nd St, Frankfort, KY 40601. Those are not the only blankets that WOM fashions and provides as they have also made fleece blankets for cancer patients as well. So far, they have provided 15 fleece blankets to the Commonwealth Cancer Center located at 110 Diagnostic Dr, Suite B, Frankfort, KY 40601. How can I pray for this ministry? Pray that those who receive a blanket would feel the love of Jesus as they have a practical need filled. Pray that recipients would connect with our church if they are looking for community. Pray that more women would get involved with Women on Mission so that its influence for good would be multiplied. You or a woman you know can get involved with WOM by attending their monthly meetings on the first Monday of each month at 10:00 am in Room 101.